Among adults over the age of 20, nine of 10 suffer from at least some level of tooth decay. 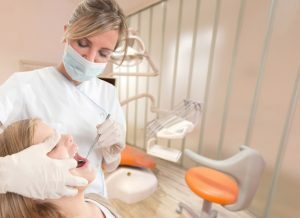 If the decay is far enough advanced, dentists may need to remove the tooth entirely for the sake of the patient’s health. And depending on the location of the removal, the loss of a tooth may result in a less favorable smile. For Americans, a good smile is an indicator of good health and good social standing. Because of this, a subpar smile can often lead to low self-esteem. Luckily, for those looking to enhance their smile aside in ways that a regular visit to the dentist can’t, there’s cosmetic dentistry. Cosmetic dentistry helps maintain or enhance the aesthetic beauty of your smile, not just the health of it. For instance, if your teeth are suffering from discoloration, cosmetic dentistry can help to get rid of old coffee stains which may yellow your teeth, giving you a whiter, brighter smile. However, this is just one type of cosmetic procedure. Increasingly, dental bridges are also becoming a popular option for those with missing teeth. Here’s what you need to know about these tooth replacements. For those with missing teeth, cosmetic dentists can offer you the option of a dental bridge. While porcelain veneers may give the illusion of straight teeth and teeth bonding may give the illusion of a bridged gap between the frontal teeth, dental bridges create the illusion of an entire tooth. This is done by placing a false tooth between two anchoring teeth, which are connected to the false tooth on either side via two or more crowns. Dental bridges will not only give you more confidence by restoring your smile, but they will also give you the ability to properly chew again. There are three different types of dental bridges which may be available to you depending on your missing teeth. Resin-bonded bridges keep the false tooth between the anchoring teeth by utilizing metal or porcelain wings, which are then bonded to the back of your existing teeth. Cantilever bridges use crowns to keep the false tooth in place, but rather than using two anchor teeth, a cantilever bridge only uses one. Traditional bridges are the most common dental bridges. In traditional bridges, the existing teeth on either side of the false tooth (which is made of porcelain or ceramic) are used as anchors by placing crowns over the existing teeth. If your smile is suffering from a missing tooth and your gums are healthy, consider visiting the office of a cosmetic dentist to receive a dental bridge. It might be the first step to a better and brighter smile.